San Antonio, Texas. July 2016. 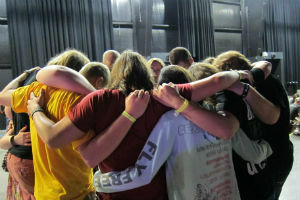 Thousands of high school and middle school students have taken to the streets, sidewalks, and hallways in silent prayer. From across the United States and around the world, they’ve come together at a massive convention center to grow as Christ-centered disciples. Then, an overwhelming energy floods the room as teenagers and adults alike lift up the name of Jesus Christ. They’ve been challenged and encouraged by Brenda Salter McNeil, Jefferson Bethke, Robert Madu, Sean McDowell, and Jim Lyon. They’ve laughed at the banter of the ever-popular Skit Guys. 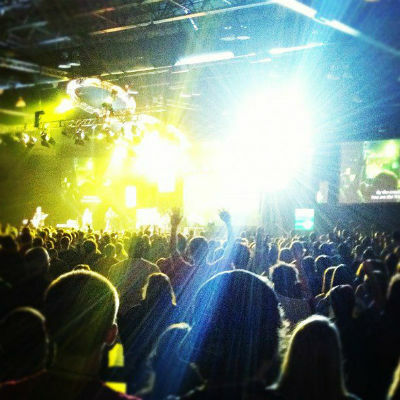 They’ve experienced high-intensity worship with Alanna Story, Rend Collective, The Digital Age, and the IYC High School Band. Many recommitted their lives to Christ, while others found him for the first time. All left San Antonio changed. After all, our God is in the business of reclamation—changing lives for eternity. It’s his very nature to want to bring lives closer to him. It’s exactly the kind of thing that has happened at the last fifty International Youth Conventions of the Church of God, and it will no doubt continue to happen. IYC2016, July 2–5, will expound on this nature of God, “who is over all and through all and in all” (Eph 4:4–6 NIV). The Ephesians 4 passage is this year’s convention theme, communicating that there is ONE God, ONE Truth, ONE Body, and ONE Mission. Students will strengthen their relationship with the ONE God, deepen their understanding of the ONE Truth, unite as ONE Body, and carry out ONE Mission. Carrying out ONE Mission won’t have to wait for students to return home. During IYC2016, they’ll get their hands dirty as they give back to the convention host city as a part of Impact San Antonio. Once again, they’ll generously fund mission projects around the world through Spread the Word. As youth accept the mission, those who have received calls to Christ-centered leadership will take the first step at the Emerging Leaders Gathering. As these students seek to change the world around them, they discover that God is changing them. Sam Rainey is a general studies major with a music business focus at Anderson University. Levi Scott is a Christian ministries major at Anderson University. This entry was posted in All Church of God, IYC: International Youth Convention, Youth Ministries. Bookmark the permalink.